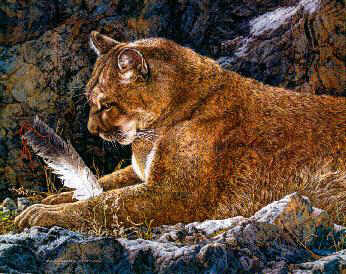 Judy Larson 's Limited Edition Print " Paws and Reflect "
who wore it attract a cougar's curiosity. illegal hunting and using alternative methods of pest control. Their future depends on us.